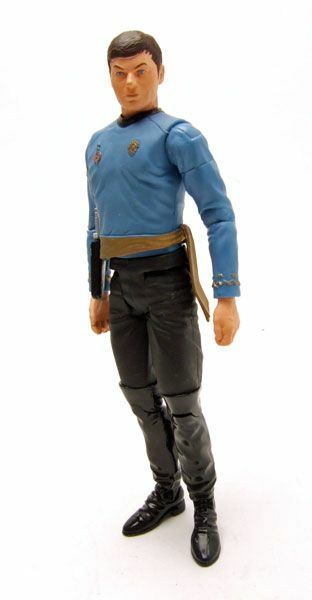 DST released this McCoy as part of it's Comic-Con 2006 Exclusive "Mirror, Mirror" wave of figures. 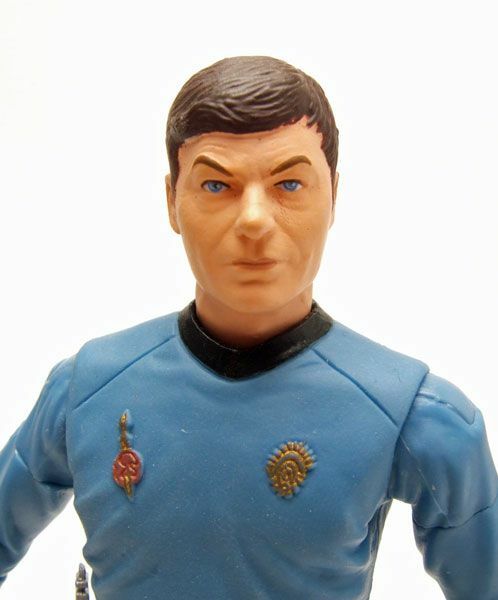 McCoy was released through New Force Comics. 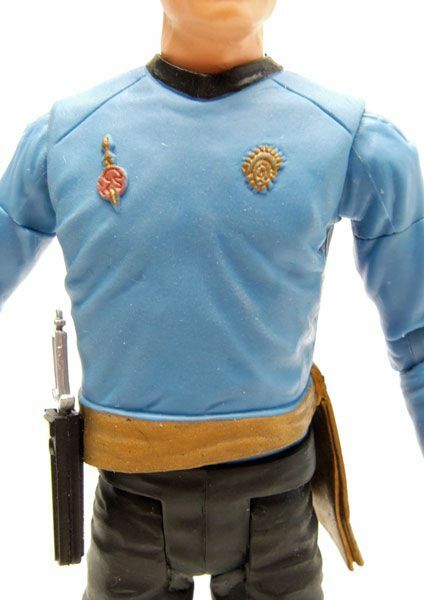 The Rundown: so we come to the final entry in the 2006 Comic-Con Mirror wave: McCoy! 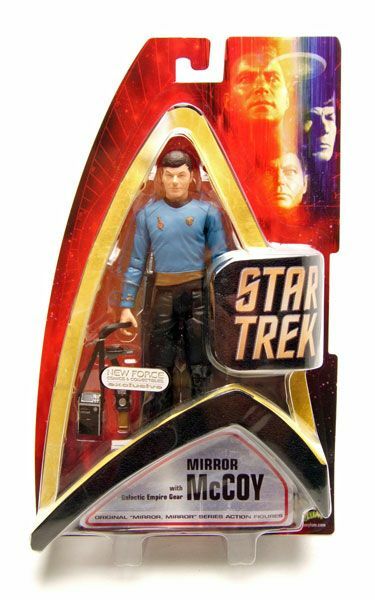 McCoy completes the Mirror crew but is doubly essential since he also completes the "big three" in Mirror form. 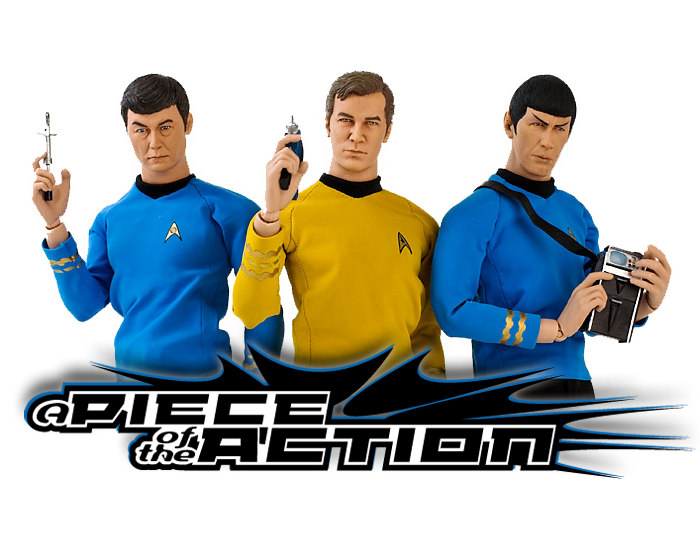 Just like the rest of the guys, McCoy is mostly reused parts. Again, not a bad thing since the parts work equally well for all. I do wish they had included different hands for him though. 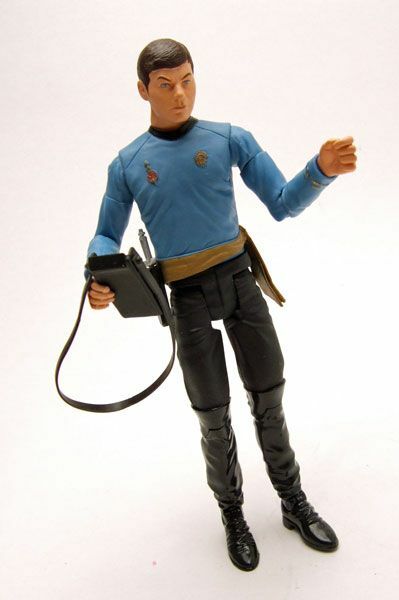 One is a little too open (since it's made for the tricorder) and the other is stuck doing the "McCoy pinch". 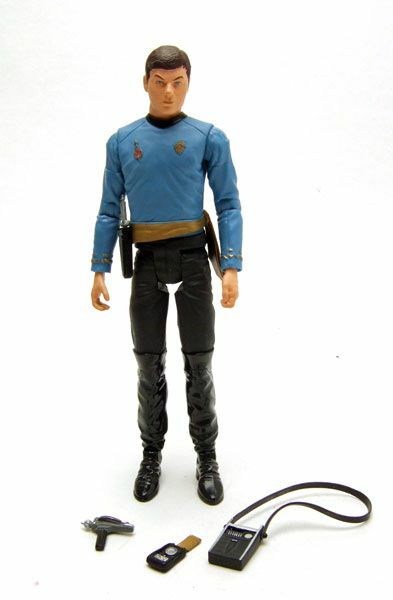 McCoy does get a new rubbery shirt here. The reasoning behind this is the change in symbols and the addition of the gold sash. The gold paint doesn't seem to have held up as well here as it has on my other 2006 mirror crew members. Maybe it's the blue material of the shirt reacting with it? The head is the same original AA sculpt. It's probably my favorite of the AA heads, and I have no real qualms about the reuse...but he does look a bit happy for a Mirror version. 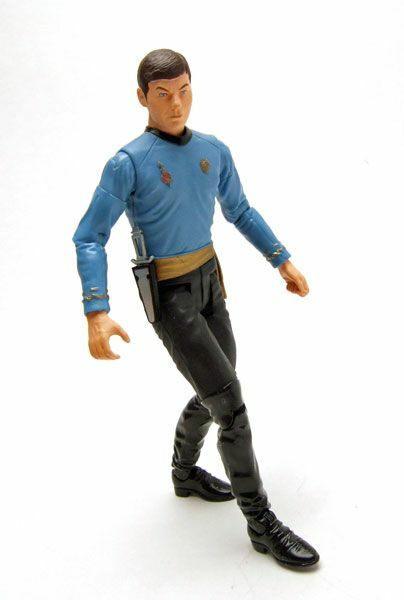 McCoy's articulation is your standard AA fare. 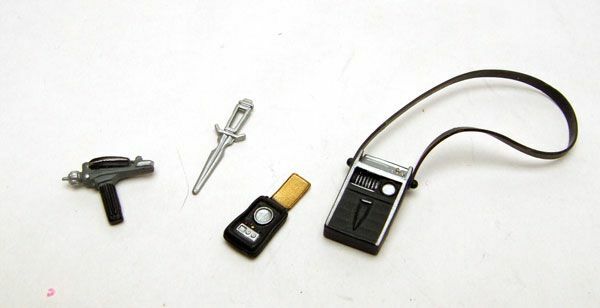 Tons of useful joints, but not so many that you enter into the obnoxious level. I like my figures still looking like humans, not multi-jointed robots. 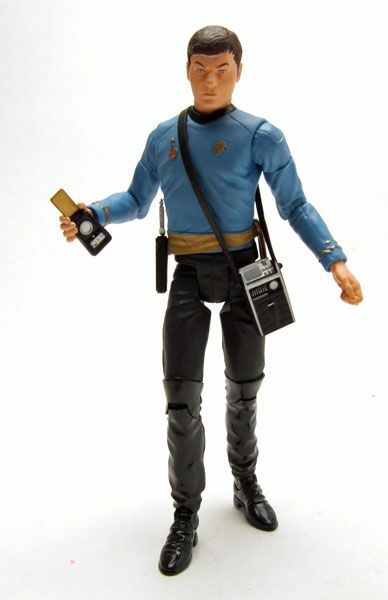 Accessories: McCoy includes a tricorder, a phaser, and a communicator. So that covers them all. "Mirror, Mirror" is one of Trek's finest, so having a whole crew from the episode rocks. You can probably get most of them from ebay pretty cheap (excluding Moreau, who can get kinda pricey). Go snag them and pose the under your I.S.S. Enterprise!